Monday, time to introduce "Record Of The Week". 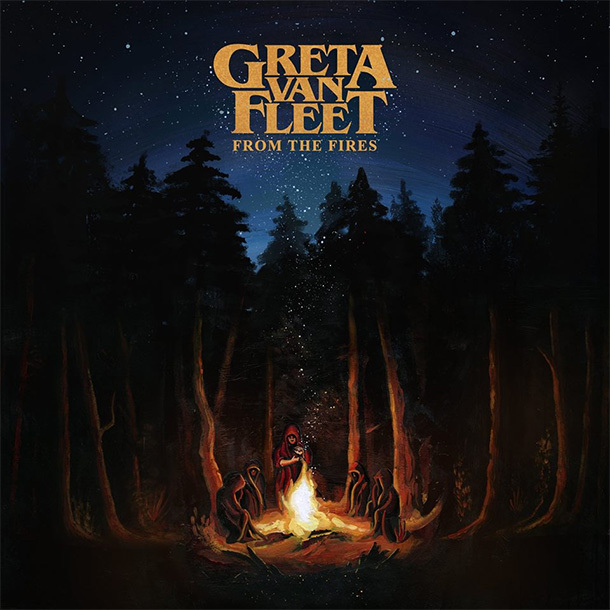 "From The Fires" is GRETA VAN FLEETs second record but their first full length album, released November 10, 2017. Their first record "Black Smoke Rising", a double EP, released April 21, 2017. These youngsters that consists of the Kiszka brothers and their friend from school have garnered plenty of LED ZEPPELIN comparisons and generated a whole lot of buzz for their band GRETA VAN FLEET. 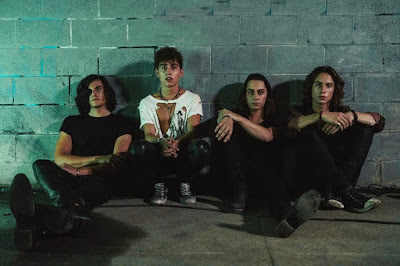 They was formed in Frakenmuth, Michigan, just outside of Detroit, where 20-year-old twin brothers Josh and Jake Kiszka began playing shows with their 17-year-old younger brother, Sam, and 17-year-old family friend Danny Wagner. Holding their practices in the Kiszka family garage and road-testing their songs onstage throughout Michigan, the four became a band of brothers whose songs mix classic chops with the thrill of teenage angst. At first spin, I was totally blown away, Wow, what a voice and those riffs, holy freaking moses. That these youngsters have created an album that joyful and funny to listen to is amazing. Super-sized hooks, catchy tunes with a raw riffage and the sweeping vocals of a front man who was born to wail. "From The Fires" contains lots of musical crackers like the bluesy "Safari Song", weee I get goosebumps, sing-along choruses, groovy and catchy like hell. "Edge Of Darkness" with it's moving melody, cleaver classic guitar riffage that melts you like ice on a hot summer day. "Flower Power" is another guitar driven piece with absolutely magic vocal performance. A superb cover version of Sam Cooke’s "A Change is Gonna Come". The crazy catchy track "Highway Tune" that firing on all cylinders with its bluesy melody and fiery guitar solos. "Talk On The Street" continues on the same flow with catchyness and amazing vocals. The album closes with blusey "Black Smoke Rising", great tune to end this magnificent album. 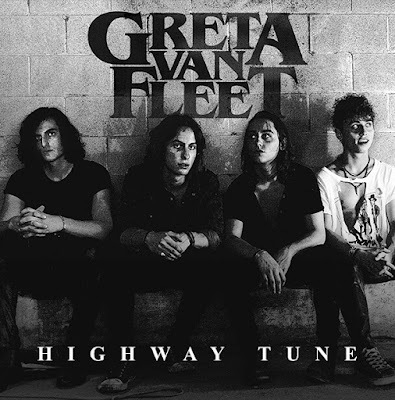 GRETA VAN FLEET a breathing new life into a sound that's blew out of cars, kitchen radios and living room stereos for decades. Sum: 70's rock with a modern life, don't miss this one! Today's tune "Highway Tune" is taken from the bands debut album "From The Fires", enjoy! These kids were highly influenced by the British Invasion's appropriation of the blues and "Highway Tune" offers a stellar start to what looks like a promising career. Listen to ”Greta Van Fleet - Highway Tune" on Spotify!